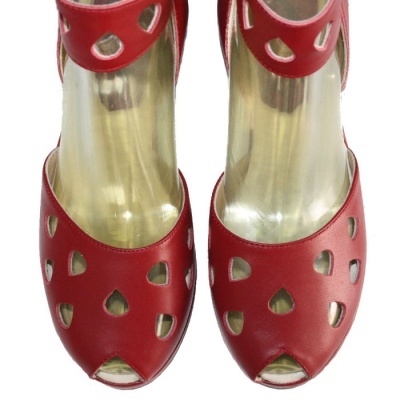 We’ve named this style Ruby after the fabulous Ruby Murray, in keeping with our tradition of naming our ladies shoes after famous ladies from the 1940’s and 50’s. These are in a lovely good quality red leather. We have copied them from a pair of late 1940’s/early 50’s American sandals. 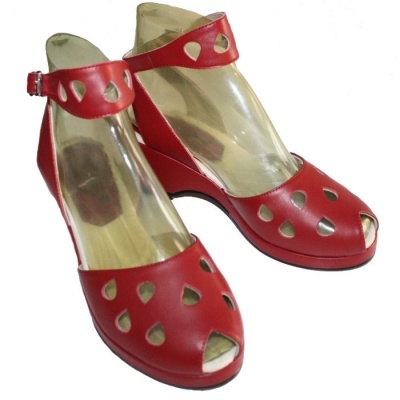 They are a great style with cut out tear-drop patterns on the vamp and on the ankle straps. 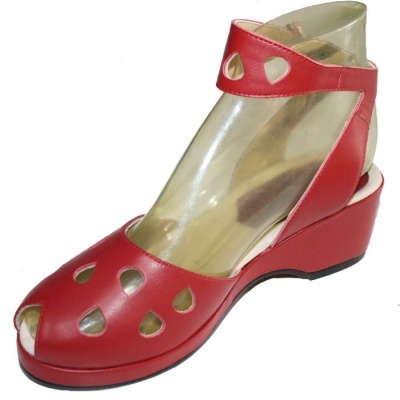 This style has a comfortable 2 1/4 inch heel and a 1/2 inch platform and is a medium width fitting. 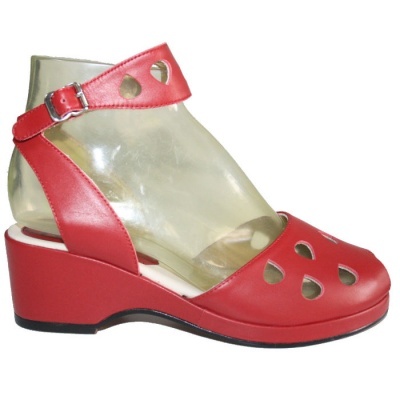 The strap is fastened at the side with a roller buckle and they have a small peep toe. They have leather uppers, are fully lined with soft leather and also have a padded insole for extra comfort. The soles are rubber, exactly as the original vintage pair we copied.